Alhassan Jalloh, a former student at Fourah Bay College (FBC), graduated in the 1990s. Comparing the level of violence on campus now to his time at FBC, he said it is a "totally new phenomenon." Club initiations were "a bit physical but not in this kind of way,” he said. Alhassan, whose cousin fell victim to (violent hazing) said that when visited his old club during a trip from the United States, he found things were different from the way it used to be. He blamed the present scenario on post-war mentality. He said that though student violence is not new, the war and (mind-altering) drugs have accelerated the rates of violence among students. He pointed out that the main reason for students embarking on violence is drug abuse. “I spoke a lot about drug abuse at the universities and in the country at large, but unfortunately people never understood what I was saying.” Dr. Nahim added that drug abuse during initiation ceremonies results in sadistic rituals and the severe beating of initiates. Dr. Nahim also believes that the issue of "Whiteman" and "Blackman" in colleges have also increased students’ participation in violence. He noted that the culture of violence has spread to schools, noting that it would be difficult to stop. On the way forward, he pointed out that the government must rehabilitate students who were involved in the war and there must be a campaign against drug abuse nationwide. An FBC student who describes himself as Sammy supported Dr. Nahim’s claims, saying that students drink alcohol on campus in broad daylight. He even claimed that there are ghettos in the mountain areas around the male campus section. What happened on 20th December 2008 could possibly change the history of Social Clubs in FBC and other institutions. Eighteen-year-old Mohamed Juana was allegedly beaten during an initiation ceremony. His injuries were so severe, police say he died after the club’s initiation ceremony, which involved the beating of initiates, stuffing them with drugs and alcohol and putting them through hazardous drilling. Already made public is the autopsy report which showed that physical torture was the cause of the student’s death. According to friends and colleagues of Mohamed, he was so determined to join three clubs at FBC that he went to the initiation only about two days after attending another initiation for a different club. However, in a press statement, the college administration said the name of 18-year-old Juana was not found on any of the college’s faculty lists. But the college later admitted that the student belonged to a specific department in the college. FBC Registrar, Sorie N. Dumbuya said there was evidence to prove that Mohamed Juana was registered on campus. Parents of late Mohamed Juana expressed dismay over the demise of their son. “No matter the outcome of the case, I will not forget the perpetrators in the death of my son,” the father of Mohamed Juana is reported to have said. Juana’s mother and sister have already given an account of their last contact with Mohamed. A cousin of the deceased said that the family is in deep sorrow. The death of Mohamed led President Ernest Bai Koroma to use the term “cultism” to describe activities of clubs in learning institutions. The President called for a full-scale investigation and slammed an instant ban nationwide. A concerned parent who called the VOH FM 96.2 radio call-in programme in Freetown after Juana’s death buttressed the president’s view saying that this was nothing other than a cult. The demise of Mohamed has opened a floodgate with several people asking what went wrong? Didn't the university authorities see this coming? Were the police and other law enforcement agencies doing their job? But some have been quick to point out that these clubs were operating undercover as there were already restrictions imposed by the FBC Warden Mr. James Fofanah and university authorities. Also most of the initiations were reportedly done in secret locations and interested members went there willingly for initiations. So this was something that was seen by some as really difficult to have been controlled by the authorities. A senior lecturer of sociology and a member of the disciplinary committee said the act of violence in clubs initiation is uncivilized. “Have you ever seen or heard any society on earth that beats their members to death, only uncivilized and uncultured members of any given society do that,” he said. Minister of education, Dr. Minkilu Bah, who was also a lecturer at FBC, decried the manner in which club initiations were done. He said it was unbelievable that students who were in tertiary education can espouse such a dreadful practice. Head of Police Media, Inspector Samura who is also a former student of FBC said the Mohamed Juana case is being taken very seriously, and he expressed confidence that the police will act swiftly to stifle any violent act by students as they did days after the death of Juana when they arrested a group of students initiating some school pupils at the Kingtom Cemetry, adjacent to the St Edwards Secondary School. “We are still hunting for the suspects and will do everything possible to ensure that justice is done in this matter,” Inspector Samura assured. According to Cotton Tree News, Fourah Bay College administration says members of the Island Club will not be allowed to attend classes or take exams unless there is a police clearance. According to a student who prefers to be known as Dado, he claimed they were made to drink something which tasted like the blood of a chicken. “Since we were blindfolded I could not tell exactly where the blood came from but it had a very nasty taste. If you spat it out you get punished and forced to drink it again. It's a society. I can’t say all but it is a really dreadful experience. I almost regretted taking part but I was not forced to join. The good thing is that since then I became a part of a brotherhood and will always stand by my colleagues in good and bad times; we always look up to our leaders. If I don’t have food and money I just go to one of my mate’s room and eat, and if anybody from the opponent club messes with my mate I take up arms on his behalf. We had a tight sense of unity that will never be broken even after convocation,” said Dado. Ahmed Sahid Nasralla, a former student of FBC and member of various clubs, believes that the activities of clubs are being over-hyped because of one or two incidences. He said that he wasn’t forced to join clubs on campus and that his experience was far from being a member of a cult group. “As a member of Quimanora I was very proud and being a part of that club helped me a lot, we loved each other and always had a good time,” said Ahmed. Others are not so positive, Malik Bangura said that since he was at FBC he was never impressed with club activities and according to him there was clear evidence of brutality by clubs there. “I can recall that a notable colleague of mine, Alpha Sesay was severely beaten. Sama Banya was beaten and tortured during an apparent initiation ceremony. The other thing is that members of these clubs don’t behave rationally. I would not utterly say clubs are cults, but some do behave like cult groups,” said Malik. Mariama Turay, a first-year student, said that she had various calls to join one of the clubs, but she was never coerced or threatened to join. “In fact, one thing I observed is that there are some clubs on campus that are very difficult to join and the burden is usually on students who want to join to go all out and convince these clubs that they are interested and ‘fit’ to be a part of their unit. I think most students can agree with me that generally students go out and join clubs with their free will,” said Mariama. 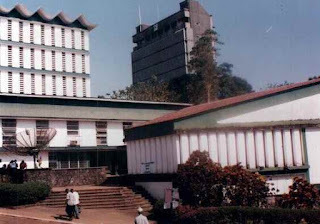 Victor Karimu, an Honors I students at FBC says lecturers are themselves responsible for the divisive and violent nature of politics on campus. He said some lecturers even penalise students during exams that they believe are not in their camp. He also said there is a bit of national politics in the current problem – pointing out to the last Student Union elections in which there were allegations that the current government remotely interfered with electoral process to sway it in the way of the incumbent SU regime. Mohamed Bah, a final year students even went further to allege that during the last elections Auradicals were reportedly SLPP sympathisers were taken to State House by Liberals members, indicating that if they (Auradicals) win the SU elections those elements will bear more pressure on the current APC government. Bah feels that external influences are having very negative effects on students clubs and political associations. He said one of the solutions of violence on campus should be a halt to interference from both the national government and college administration. As voices grew louder from various sections of the country for the banning of all clubs in educational institutions, some have called for caution against passing any law that would limit the activities of clubs in the country. Minister of Education Dr. Minkailu Bah believes banning would not salvage the situation. Whilst Victor Karimu who described himself as a neutral supports the banning of clubs as a plus and a very good decision to restore sanity to university campuses, Mohamed Bah of Auradicals disagrees, saying that outlawing clubs is not the solutions. He said any such move will force clubs to operate underground and likely intensify violence rather than curb it. Kwekegor Sheik Umar of Liberals shared the same view with his opposing colleague that banning is not the solution but suggested that the university administration should commit head of clubs to sign a memorandum of understanding that they should refrain from violence during elections and initiation processes. “If there is any violence, heads of clubs should be brought to book,” said Kwekegor. Proponents of the beleaguered Island Club have already commenced their campaign online as there is already a Group Cause Campaign on Facebook "Prayers and Plea of NOT GUILTY for those accused with the death of M. Juana." As the debate rages on it looks like the Mohamed Juana murder trial which has already begun would bring to light most of the usually hideous side of students’ club life. But based on our research so far, the Juana incident is only an epitome of a problem that has been boiling over the years. Students are desperate to express themselves; and a couple of reasons such as alcohol, drugs, divisive ideologies, interference and prop up from some lectures and politicians are all encouraging students to go berserk and behave as if they are above the law. As a former student at FBC myself, I believe the university authorities should engage students and set up new systems to regulate the activities of social and political clubs on campus. ***Some names have been changed to protect identities.